Createspace Independent Publishing Platform, 9781539160687, 256pp. Watcher is a dreamer. He dreams of hunting with the Gray Woods Pack, of honoring the Trees, of making the red snow and tasting the first share, of running as fast and howling as strong as his brother, the mighty Orion. For a three legs, though, these will only ever be dreams... But a storm brews over the Old Forest, heralding darkness and doom. A warlord named Bone - Lord of the Lone Rock Pack - burns with a vendetta against the Gray Woods Pack. He will not stop until they all lie in the red snow... Now Watcher must run with his brothers and sisters: noble Orion, gentle Glimmer, mystical Windy, and angry Kicker. Together they will flee through lands of violent danger, ancient mystery, and deep magic. Together their bonds of love and family will be tested, and Watcher will learn the true meaning of what it is to be a Lord of the Wolves. James Raney grew up all over the world, in Europe, Latin America, and Africa, leaving him with a lifelong love of adventure that escapes through his daydreams and lands on the pages of his stories. 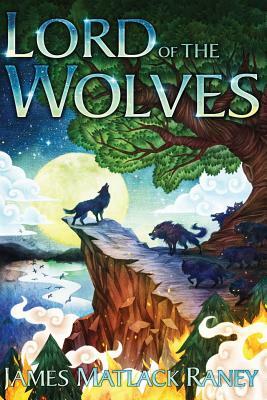 He is the author of the Jim Morgan series, a two-time Foreword Reviews Book of the Year Finalist for Juvenile Fiction, and winner of the 2015 Writer's Digest Book Award for YA/Middle Grade Fiction. He is currently working on a new novel and visiting as many schools and bookstores in Southern California as will put up with him. James loves spinning yarns he would have howled at when he was a boy, eating sushi, strumming his guitar, and wishing he had a dog to play frisbee with on the beach.